Dr. Evelyn Qi grew up in Tampa, Florida. She decided to follow in the footsteps of her dentist mother after seeing firsthand how much the profession can help people. She immediately pursued her dreams by applying for dental school while still in high school via an accelerated dental program. She obtained her Doctorate of Dental Medicine (DMD) from Case Western Reserve University School of Dental Medicine in Cleveland, Ohio, where she received numerous awards such as Outstanding Research Scholar and Professional Podium Award. She was involved in extracurricular activities such as volunteering at the Cleveland Free Clinic and partaking in Delta Sigma Delta, a professional dental fraternity. Dr. Qi then completed a one-year residency at Case Western to further hone her skills. After 7 long years of living in Cleveland, she decided to move to Colorado to enjoy the outdoors, fantastic weather, and friendly people. Dr. Qi currently lives in Westminster where she enjoys the open spaces and pleasant views. She has a passion for travel and has visited over 30 countries. When not working, Dr. Qi is either planning her next adventure or hanging out with her dog, a lab mix named Rey. 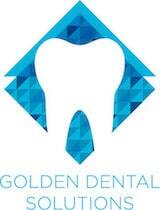 Dr. Qi is thrilled to join the dream team at Golden Dental Solutions. She says, “From the moment I met Dr. Gill and Dr. Kenson, I knew that this office was different—in a great way. I am so honored to have this opportunity and join them in offering top quality care to their patients.” Dr. Qi prides herself in her compassion and attention to detail, and is happy to be able to combine art and science in her career to provide top quality dental care for her patients. Dr. Qi is active in the Academy of General Dentistry, American Dental Association, Colorado Dental Association, and the Metro Denver Dental Society. She is constantly taking continuing education to better serve her patients and is currently working towards completing her Fellowship in the Academy of General Dentistry.